Latest analysis shows that around 95 million photos are uploaded to Instagram every single day – and growing. And you can bet a good percentage of them feature our favorite subject: DOGS! Getting your dog pics, posts or stories seen by anyone outside your immediate social circle is a tough gig. Whether it’s your personal pet photos or wanting to promote your dog related business, the fact is that we’re competing with tens of millions of people around the globe. Hashtags are of course the key to reaching an audience on Instagram and Twitter, and to a lesser extent on Facebook. Another way of getting great exposure is to be featured on a popular curator’s profile on Instagram. These are basically very large accounts (at least the ones worth paying attention to) who have a lot of power to give you significant exposure if they select your image and link back to your profile – potentially sending you tons of new followers. Your posts and photos do naturally need to be of high quality to be deserved of attention. That means creative thinking when photographing your (or other) dogs and posting something outside the usual “phone snapshot” – in other words, pictures that will make people stop and look twice so you can stand out from the vast Instagram crowd. If your photos (or artwork, or anything else) aren’t interesting, eye catching and somewhat unique, all the hashtags in the world won’t be of much benefit at all! So let’s assume you’ve got awesome photos ready to share and plan to create many more in future – getting those hashtags in order is going to make or break the exposure you get, whether its your own dog, dogs you have up for adoption, your grooming clients or other dog related business, or as a professional pet photographer trying to get exposure. Knowing which dog related tags are not only popular, but also getting a lot of engagement is the key. 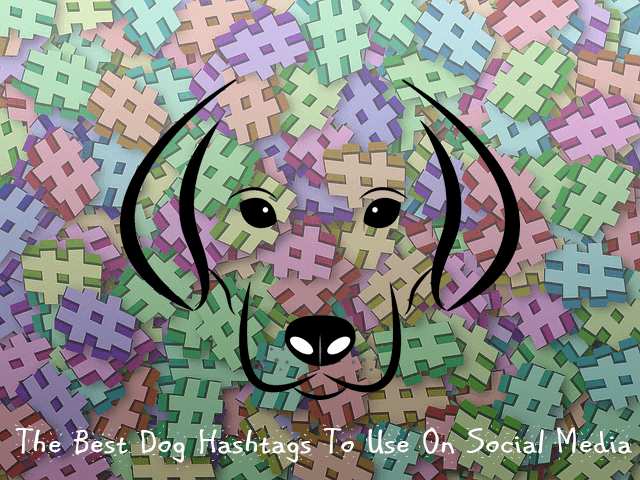 And when it comes to dogs, there are many ways we can really break down our hashtag targeting to be more specific and potentially less competitive – while it can be great to include tags that millions of other people use everyday, it also means your posts quickly get lost in the crowd. Using the tag #dogs, while not a bad thing to do, is……..
Below I’ve put together a researched collection of the best and most popular hashtags to use, broken down into themes. Choose wisely, experiment and evaluate your results regularly to find out which ones give you the best and most consistent results! Getting your dogs for adoption seen amongst (sadly) the hundreds of thousands of others, is difficult. But social media has presented us with a whole new platform for advertising rescued dogs for adoption: targeting locally is of course of key importance. But some people will travel far and wide to adopt the dog of their dreams, so you don’t have to be completely limited to only having your posts seen by an audience within your local area. Here are a bunch of hashtags you can use for posting profiles of beautiful rescue dogs that are looking for a new home. Mixing these with both local city or town names, breed specific tags, as well as some of the general dog hashtags listed further down, will give you a wide reach across your potential audience. If you’re a little more serious about your dog photos and you use a dedicated camera, rather than just a phone, to take images that you want to share, then targeting people who have a specific interest in photography with your hashtags can help get your pics out there to a wider audience – and even help make a name for yourself.